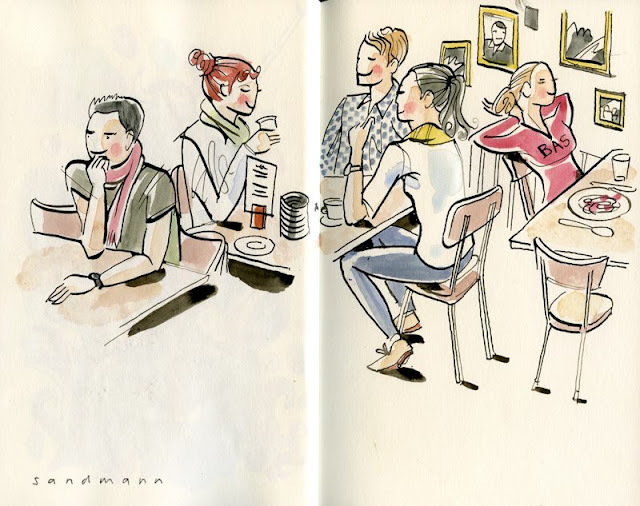 indoor-sketching: over lunchtime, awaiting my pasta (Ravioli Napoli) in a charming, urban Italian-style restaurant in Kreis 4. It's always risky to draw with sepia ink and I'm scared one day my clothes will be wasted by waterproof color. On the other hand it makes me work consciously and carefully and makes me plan every line I draw.